Amity University Manesar Campus is located in Gurgaon city of Haryana State. In this campus they are offering you under graduate and post graduate programs related courses. Such as Applied Sciences Architecture, Biotech Commerce, Communication Computer Science/ IT, Economics Engineering, English literature Fashion, Finance Fine Arts, Law Management, Medical Microbial Sciences, Nanotechnology Organic Agriculture, Pharmacy Psychology & Behavioural Science, Solar & Alternate energy. If you are thinking about how you can contact or reach Amity University Manesar Campus. Then you must follow the below mentioned contact details and information. We are sharing the full address with pin code, phone numbers with STD code, official email ID, location route map with reference of the official website of the Amity University Manesar Campus. 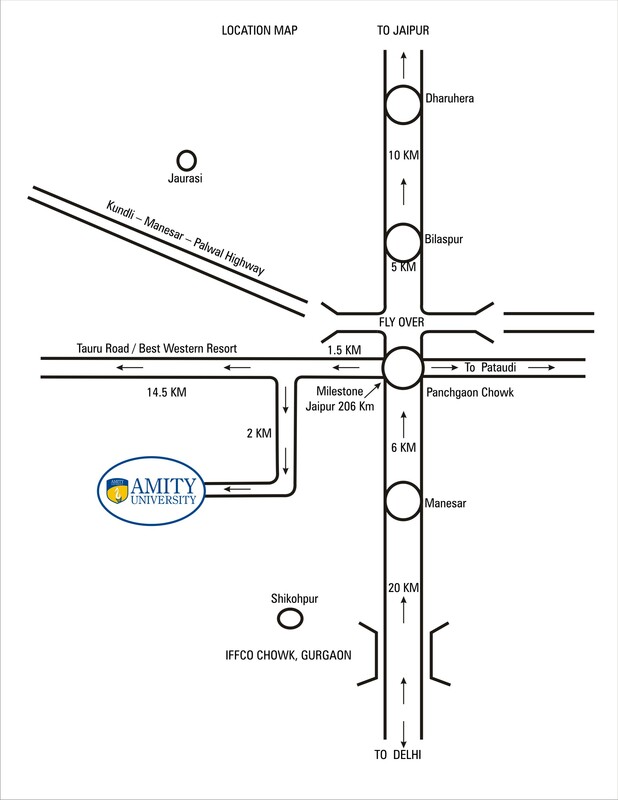 The above location map can help you in reaching the Amity University Manesar Campus easily. If you are adopting public transport then let us inform you that the nearest metro station is IFFCO chowk metro station and it is approximately 23 km’s away from the campus. 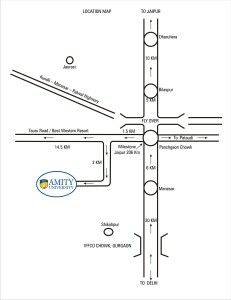 These are the details of Amity University Manser (Gurgaon) based office. Admissions related inquiries can be solved using this information. The timings to contact the officials are Monday to Saturday from 9:00 am to 5:00 pm exluding holidays. For more contact details you can also visit the official contact page of company. For jobs, recruitment, training and internship programs you can visit this page.